If you’re considering creating a website, you’ll probably be aware that there’s no shortage of do-it-yourself website builders out there. Most allow you to quickly and easily build a site and have it live on the internet the same day and quite often for free. But you may not know that just because your website’s on the internet, it doesn’t mean anyone will ever find it. You could have the best product, or offer the best service in the world, but if you build your site and then just sit back and do nothing, no one will even know you exist. I know that’s not what you want to hear, but unfortunately, it’s the truth. You’ll need to learn how to attract potential customers to your site, and then convert them into customers. This is something that most of the DIY website companies forget to mention, and if they do, they offer little training (if any) on how to actually accomplish it. 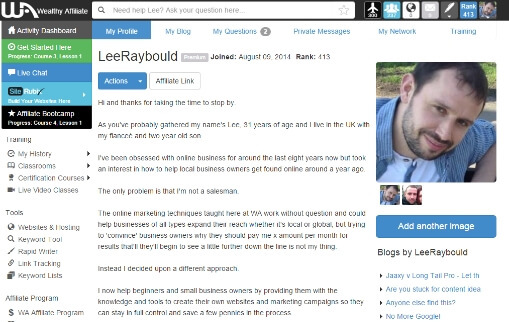 You’ll be scratching your head as to why you’re not getting any visitors, let alone any sales! I found this out the hard way a few years back, since then I’ve been studying website building and online marketing. Then, a couple of years ago, I ran into SiteRubix which is powered by the Wealthy Affiliate training platform (more on that in just a sec). It offered what no one else did, the whole package. It was from the tools and training there that gave me my first taste of website creation and also allowed me to build a website for family members brand new cleaning business which is currently ranking on the first page of Google for various cleaning related search terms in their local area. The purpose of this review is to serve up the facts so you can make up your own mind as to whether it’s the right platform for you. Utilizes the powerful WordPress platform. Create your site in 4 simple steps. Learn how to write content for your site. Integrated training platform (Wealthy Affiliate) teaches you how to get found online. Hosting, security, and backups are all taken care of for you. Free state of the art, secure, WordPress hosting for all SiteRubix members. Get an email address to match your business/website name. Technical support team ready to jump in should anything go wrong helping you sleep a little easier at night. 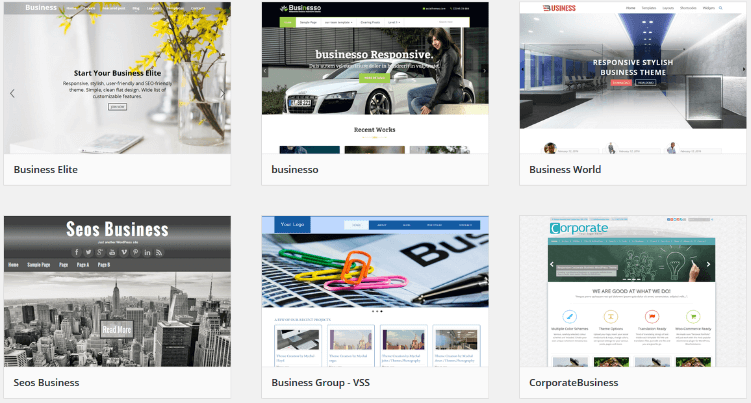 Thousands of templates to choose from (premium members). Only 12 templates available to starter (free) members; Although you’re able to build a free site with without ads, I should point out that there is a limited number of templates and add-on features available to starter members. SiteRubix may be an expensive option for you if you don’t want/need the training platform. Premium Plans: Just one which is $49 per month or $359 annually. Recommendation: SiteRubix and the associated training platform (Wealthy Affiliate) is for people looking to start or grow their existing website and is a great option for affiliate marketers, niche website builders, bloggers, writers, and anyone looking to grow an audience and sell products/services online. The main benefit of SiteRubix is the associated training platform which easily justifies the cost. If you just want a simple website and none of the other stuff, there maybe more suitable options out there. Ready To Take SiteRubix For a Free Test Drive? Click Here To Get Started! 1. What Exactly is SiteRubix? 5. The Training – What Does Wealthy Affiliate Bring To The Table? SiteRubix was specifically designed to take away the stress and complication of the site building process and allows you to get a fully functional WordPress website up and running in less than two minutes. If you’ve done any research previous to reading this page, then it’s quite possible that you’ve heard of WordPress. WordPress is considered one of the most powerful website platforms available today, and over now powers over 60 million sites worldwide. 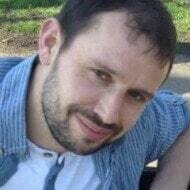 The trouble is, beginners are often scared away from using WordPress as they believe it’s complicated to set up. To be honest, it can be but this is why SiteRubix was born. This, along with the Wealthy Affiliate training platform has everything to need to create a successful online presence under one roof. Choose to use a free domain name (web address) or purchase your own. Choose a domain name for example; yournewwebsite.com. Choose a title for your website which you can change at a later date. Decide which theme (template) you’d like to use which will decide the look and feel of your site. Then sit back as you SiteRubix goes to work and builds your new site. When you sign up for a free account, you’ll only have 12 themes to choose from which is okay for getting started. Should you choose to upgrade your account (more on pricing later), you have a wider selection of almost 3,00o free themes. My main problem with WordPress themes is the fact they aren’t very customizable other than basic site colors and fonts etc, not unless you know how to code which I certainly don’t! This isn’t SiteRubix’s fault, it’s just the nature of using WordPress. Once SiteRubix has worked it’s magic, you’re left with a standard WordPress site to work with. The image you see below is the back office and is where you create your pages, add text, images, upload your logo, create menus, change your template, search for add-on features, and create blog posts etc. With many website builders on the market these days, they allow you to drag and drop elements around your site such as text and images and place them pretty much wherever you please. While you’re doing so, the changes are made in real time and what you see on the screen in front of you is exactly how your site will look when live. Instead, you’re quite limited as to where you can input text and images and is dependant on your chosen theme. To see the changes you’ve made, you’ll need to hit the “preview” button which will open up in a new tab. While I find WordPress easy to use these days, I have been using it for quite some time and have to admit that it takes a little getting used to. By using SiteRubix, you have the huge advantage of the step-by-step training that’ll help you out pretty much every step of the way. Every website starts out its life with a bit of text and maybe a few images but the chances are at some point, you’ll want to add some type of functionality to your site. This could be a contact form, email signup form, a store, members area, live chat, forum, the list is endless. This can be achieved quite easily by adding various “Plugins”. Think of these plugins as add-on features that can be bolted on to help you mold your website. And by the way, there are as many plugins available as there are templates! Note: I feel it’s important to point out that as a free starter member, you can’t add any additional plugins other than the ones which come pre-installed. SiteRubix takes website security and speed very seriously and so certain plugins that may slow down your site or cause potential security threats may not be compatible with SiteRubix whereas they would be with a standard WordPress site using another host. This is great for newbies but may cause frustration for anyone who’s already familiar with the platform. 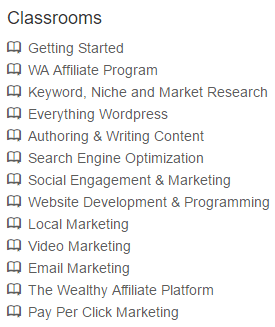 Wealthy Affiliate (WA for short) is an internet marketing training and support platform. It’s also where SiteRubix calls home. When you create an account with SiteRubix, you’ll automatically have access to the WA training platform. How to build and set-up your SiteRubix website. How to write content for your site. How to target the right audience for your business. How to get your website found on Google and other search engines. How to convert visitors into potential customers. How to monetize your website through affiliate marketing (this can be adapted to sell your own products and services). WA prides themselves on their 5 stage beginner course and each of the five stages are broken down into ten, easy to follow lessons as you can see in the image below. What you see above is the Level 1 getting started training and all free starter members will have unlimited access (more on pricing in just a minute). 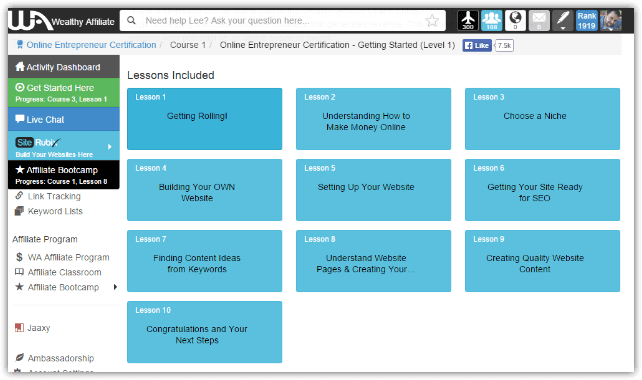 This free training alone is more than enough to get your website off to a flying start. The training classrooms are great for when you need help with something specific. You can pop in, ask questions, look through previously asked questions, or browse through the additional training that’s been created by other members in the form of written tutorials and videos. And those of you with a brick ‘n’ mortar or local service business.. If your business relies on attracting customers in your town or city, then get your website up and running then dive into the local marketing classroom where you’ll find over ten hours of training waiting for you. How people search for local businesses like yours online. 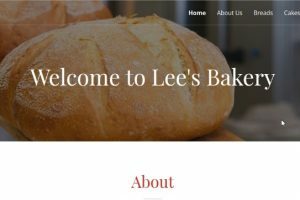 How to get your business website to show up in Google’s local results. Using online reviews to build trust with your potential customers. Finding customers with free online business directories. Introduction to paid Facebook advertising. I know from experience that this whole website building thing can be a daunting experience when you first start out but don’t worry, you’re not alone. No matter how good the training, at some point you’re bound to have a question or a problem that you need help with. You see, when you create a WordPress outside of SiteRubixsite, there isn’t a central hub where you can go to get help and advice. One of the downsides to it being an open source platform. Technical support – A dedicated in-house support team is on hand through a ticket support system to help solve any technical issues you may run into. If something on your site breaks, they’ll trawl through the guts of your website and fix it for you. Ask a question – The friendly, knowledgeable, and active community members will help you out and have you back on the right path in no time. Live chat feature – Get help in real time, Wealthy Affiliate is a global community, meaning there will always be other members ready to jump in and lend a hand day or night. Private messaging – For people who prefer help on a 1 on 1 basis. In addition to the above and unheard of in most companies, you’ll often find the owners Kyle and Carson hanging out in live chat ready to help members. With a combined experience of over 26 years in building websites and internet marketing, these guys have seen and done it all and always make time for their members. Fear not, you’re not going to be baffled with five or six different membership options as the guys over at Wealthy Affiliate like to keep things simple and only offer a simple choice of two memberships. Premium membership: $49 per month or $359 annually. Prices are in US dollars, not your currency? You might find this currency converter useful. 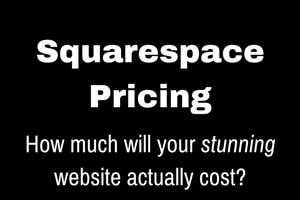 More expensive than other website builders if you don’t want the associated training and there’s no way to separate the two. As SiteRubix utilizes WordPress, creating your site can come with a slightly steeper learning curve than other options out there. If you just want to create a simple WordPress site without all of the added extras and restrictions, you can do so with Siteground. My recommended WordPress host who I also use myself. If it’s the learning curve of SiteRubix and WordPress that puts you off, a simpler drag and drop website builder may suit you better such as Wix or Weebly. Let me be brutally honest with you. Just about anyone can make a website these days, but if you’re serious about using it to grow your business, then it’s going to take time and consistent effort on your part to see results. Many business owners don’t have the time or interest in doing it themselves and decide to hire a professional instead. If you’re the type of person who would rather roll up your sleeves and get stuck in (like me), then I can honestly say that SiteRubix and Wealthy Affiliate is the best all-in-one platform I’ve ever found to help you build a website and start/grow a business online. I highly recommend beginning with the free starter membership, find your way around, build a free site and go through the training with no outlay whatsoever. If at any time within the first 7 days you decide to become a premium member, you will be entitled to a 59% discount on your first month’s membership. This means you’ll have unlimited access to everything WA has to offer for only $19 for the first month. Please be aware that you’ll never be tied into a contract and you can cancel at any time. 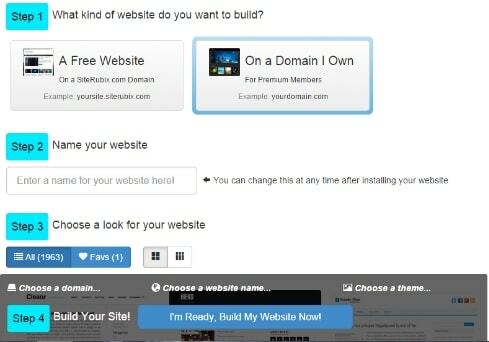 If you just want to build a free website and stay a starter member forever, no problem. You’ll never be under any pressure to upgrade. That’s not how they roll! Webnode Review – A Good Fit For Your Business or Project?